Harper’s daycare is closed this week for whatever reason so this mama skipped out of work. Being a stay at home mom is hella hard! My house is a mess, I’m tired of cooking and we don’t have anymore wine. Ha! 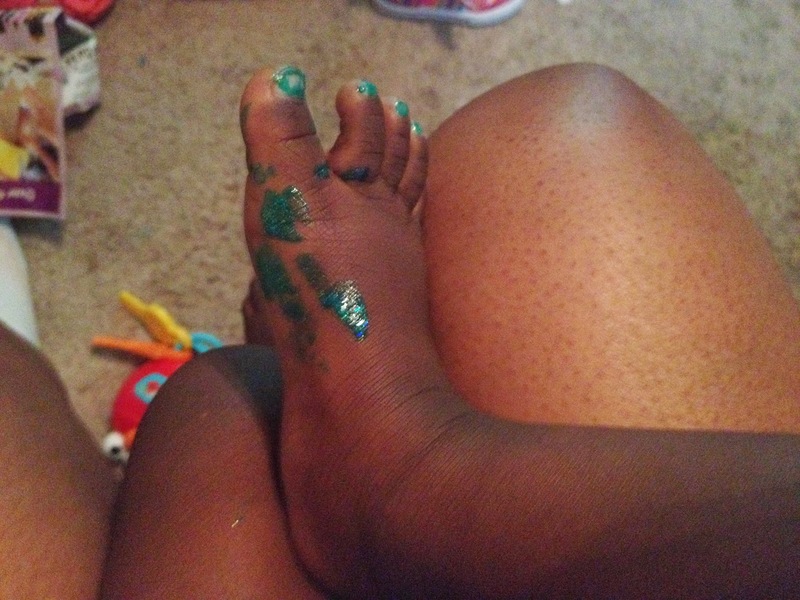 One thing that I have learned this past week…16 month olds need assistance when painting their nails. I think she missed a spot. Don’t worry, it’s baby safe nail polish. I’m just hoping that her shirt can be saved because well…there’s always a causality. She was really proud of herself and kept pointing to her toes all day! I will confess that we only got the one foot done. It was REALLY messy. 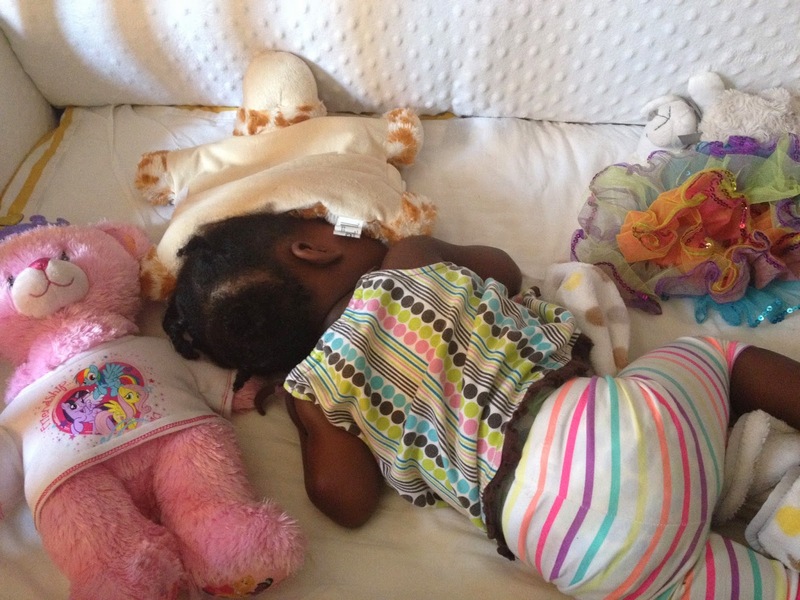 What are some ways you keep your toddlers active? The Easter Bunny hop has been a crowd favorite over here. I use to make tactile box with rice, beans and/or dry alphabet soup pasta and that was always hit – why I don't know. I'm also a fan of finger painting. Thank you, Mary! I took your advice about the tactile box. Harper loved it! I didn't get a chance to make “paint” yet but I'm looking forward to finger painting. Haha! We had a lot of fun ripping and running. Thank you for the advice!